A little whimsy is a good thing. 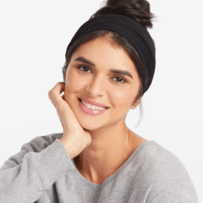 Seamless wide headband in solid or allover print. 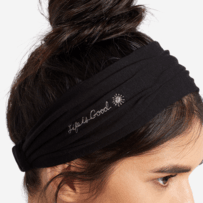 Perfect for yoga, workouts, or just hanging out. 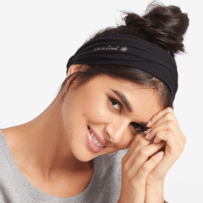 Covered elasticized back adjusts to your head.